*Ask the child to identify all the colors on the pieces. Then discuss different ways to sort the animals by their colors and patterns. 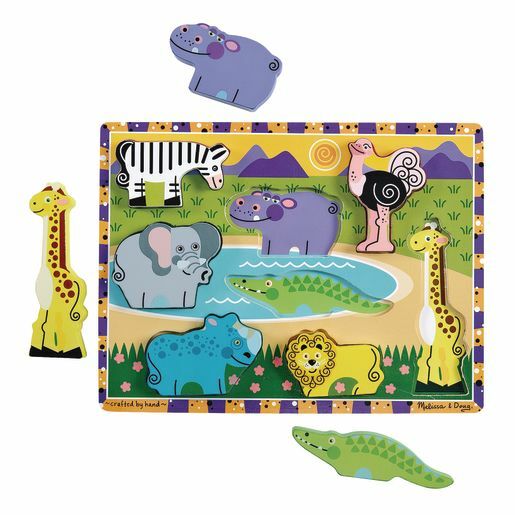 For instance, you could select all the animals with purple coloring and place them in a set. Or select all the animals with spots. *Identify each of the animals or and talk about how they move. Ask the child to point to all the animals with wings. *Place the pieces around the room, then have the child walk around on an animal hunt. 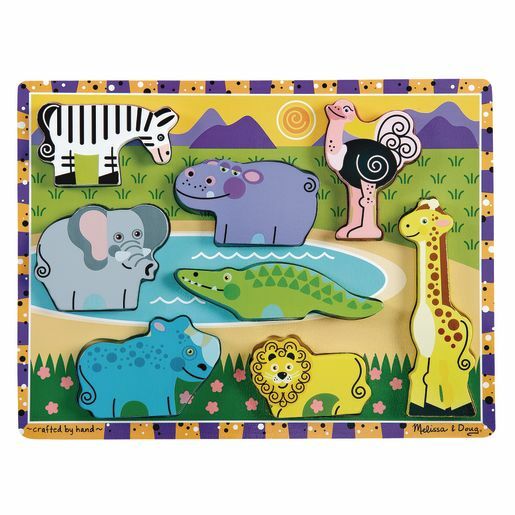 Each time the child finds an animal, ask him/her to call out the name and return it to the puzzle board. 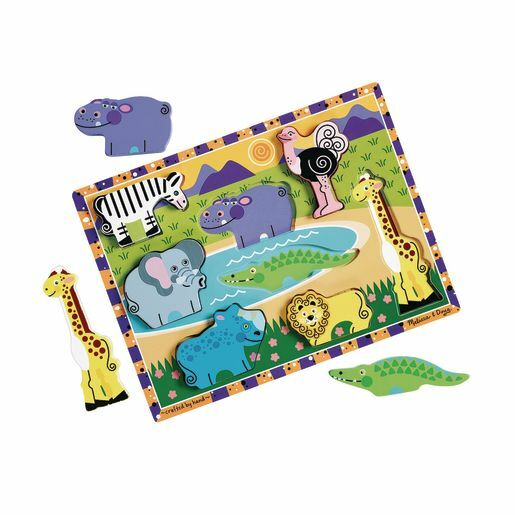 *With all the pieces on the puzzle board, ask the child questions to make up a simple story about the animal.